Love the old racing videos. Roberts clearly had everybody covered, but there was a little drama when his exhaust just about got knocked off. Last edited by killer5280; 12-12-2016 at 12:17 PM. Thought I was recognizing the bikes... I happen to have an an interceptor lounging in the garage.... GREAT ride!!!!!!!!! 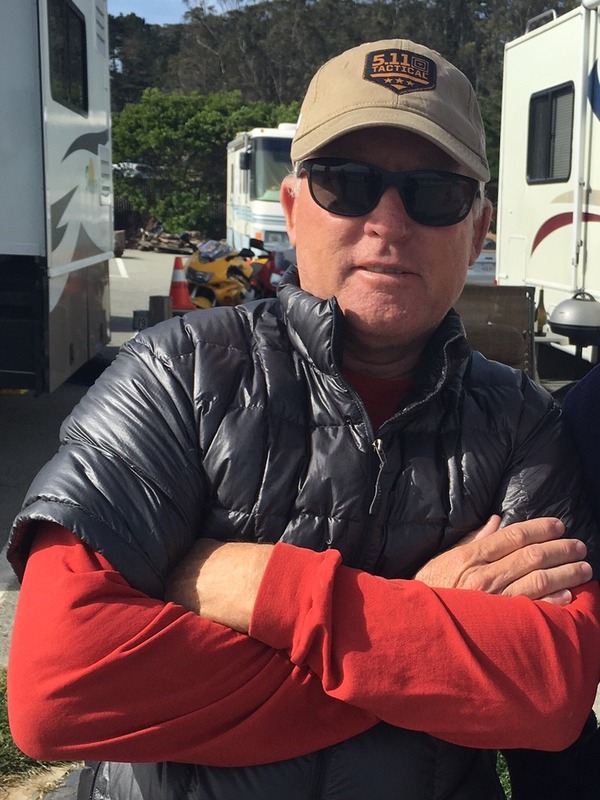 I ran into KR this summer near Half Moon Bay Ca. I had just pulled up on my Hawk (in photo background) to visit a buddy who was chatting with him and his family. Very nice people. It was a bit humbling to have arrived on a motobike. Last edited by Hangfly; 12-14-2016 at 01:53 PM. Did the same for MotoGP til i left in 1989.. I don't recall what the year 1988? was but i was able to combine a work trip to Cal and to see the the 1st Moto GP held in the US in 20 years or so. Eddie Lawson, Wayne Rainey, Kevin Schwantz among others. One in a lifetime event for me. The corkscrew section was amazing to me. I like the gratuitous wheelies by Roberts, Mamola and Baldwin.